Denkami's writings: Mi Band, the best simple stuff with wrist watch. Mi Band, the best simple stuff with wrist watch. I bought this feather-light simplified life time device in few days ago. This stuff was came from China and product of famous battery company that also makes Android smartphones. There is nothing interesting functions like matrix LED arrays, mini loud speaker or spy camera. It just have vibration, 3 small LEDs and water resist. Just it runs at least 30 days in one charge from USB. I can pairing Mi-Fit app with secured bluetooth. It doesn't synchronize in every time. It just hang on my wrist even I have slept and it records how long deep slept am I. 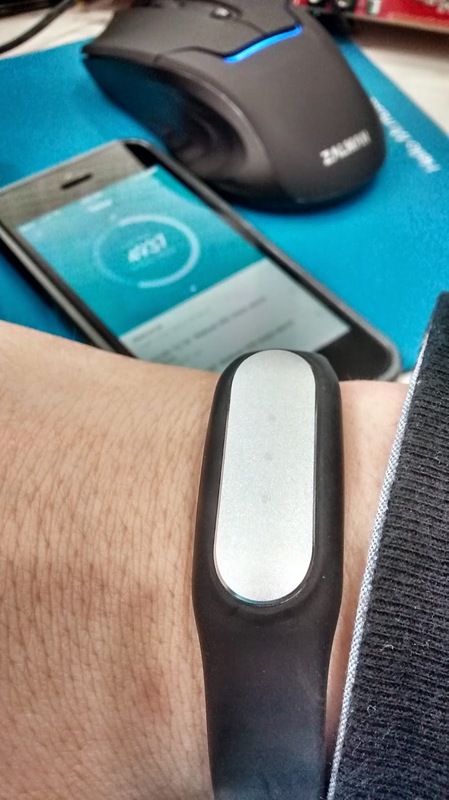 "Mi Band" is the name of this small and minimal functional stuff. People already has their own watch on wrist. We already using nice built in camera in our phone. I want to asking people for "Do you want to buy electronical watch that need to charge in every or 2 or 3 days?". If I am, Never it is not a choice. If you have a watch on wrist, Think about your watch if that is not Apple or Android synchronized electronical something. Our watch running itself to show time with own power source like Lithium-Ion cell battery or clockwork and automatic rewind mechanism. This small device named "Mi Band" also has own power source runs minimally 30 days in one charge. It supports to know call has income and 3 alarms to know on my wrist with vibration. It records my steps but it is actually not correct. but possible to guess how much I moved my arm or wrist. But there's very helpful function is it measuring(or guess?) my deep sleep. I recommend this low price, but helpful wrist wearable device, if you already have nice wrist watch and don-wanna care battery charging state.